Bodhi Haraldsson, RMT, Registered Massage Therapist, discusses the various types of therapy available to treat whiplash associated disorders. Whiplash and Treatment Options - PainPRO Therapeutics Bodhi Haraldsson, RMT, Registered Massage Therapist, discusses the various types of therapy available to treat whiplash associated disorders. 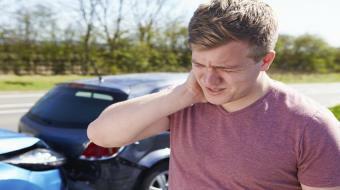 Whiplash injuries can have a variety of symptoms. Those symptoms are usually called whiplash associated disorders, or WAD for short. 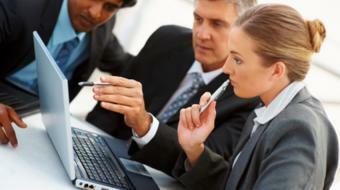 We have generally five categories that people fit in, from mild to severe. So those are the ones that once they are gone after a week or ones that you have to go to the hospital for. Whiplash injuries are generally diagnosed by looking at the symptoms that you are experiencing. There’s no need in the beginning to go and get an x-ray or an MRI of your neck, as long as your symptoms are mild to moderate. Once your symptoms last for a longer period of time, they’re not resolving or they’re more serious symptoms, then going to the hospital or going to your doctor to get x-rays would be warranted. But in the very beginning, just basing the diagnosis on the clinical symptoms is best practices. The majority of patients that have whiplash injuries can be treated with safe, non-invasive therapies. To begin with, we advise all patients to stay active and engage in their day-to-day activities, whether that is at work, at home, in your sports, try to stay engaged. Pay attention to what amount of pain you’re experiencing. If the pain is increasing, then back off a little bit. If the pain is staying the same or decreasing, then you can increase your activities. Along with staying active and engaged in your day-to-day activities after your injuries, it’s recommended that you seek help around understanding what whiplash injuries are. Getting some manual therapies, which is massage and manipulations, some recommendations around exercises, those type of therapies are the non-invasive, safe, gentle therapies that will be really good in the beginning. For the more long-lasting injuries, what we call chronic injuries, you will need more of a multi-disciplinary intervention. And those multi-disciplinary interventions can range from psychotherapy to drug therapies to rehabilitation therapies, mixed together and working closer together to help you recover. For further information about the therapies available to you, please go see your local therapist – that’s either your massage therapist, physiotherapist or chiropractor.